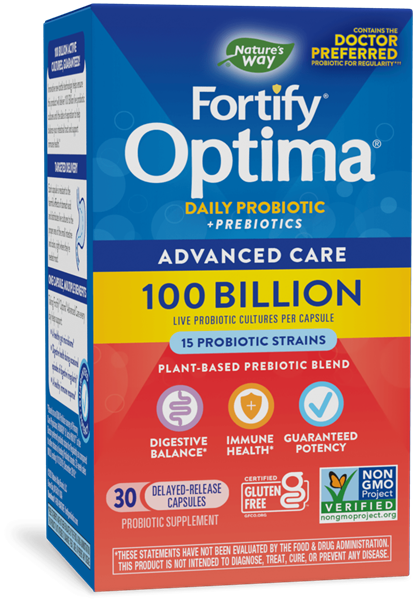 Fortify™ Optima® Max Potency 100 Billion Probiotic - Nature's Way®. Why take Fortify™ Optima® MAX POTENCY? Ensures probiotics survive stomach acid so the active cultures are delivered directly to the intestine. 100 billion potency is guaranteed until expiration date when bottle is kept tightly closed & refrigerated.